Do you ever wish you could create your very own music, but don’t have the time to learn or the free space in your home to put an entire set of musical instruments? Fret no more – a new revolutionary gadget lets you unleash your inner composer just about anywhere and anytime. Introducing Specdrums, the most futuristic way to learn instruments and making music out of it. By applying modern optical technology that plays sounds by tapping on colors around you, Specdrums brings the first-hand immersive music playing experience to your fingertips, banking on the natural feel of your finger movements to effortlessly create your own musical creation without expensive gear and complicated setups. From a technological standpoint, Specdrums can be considered something out of science fiction. 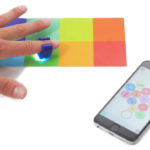 Thanks to tech developments that brings out acoustic renditions based on colors, Specdrums makes for a tangible, futuristic audio creation tool that taps into the intuitive movements of your fingers. It takes the form of smart rings that fit onto your fingers, and they connect wirelessly to your smartphone via the Specdrums companion mobile app. 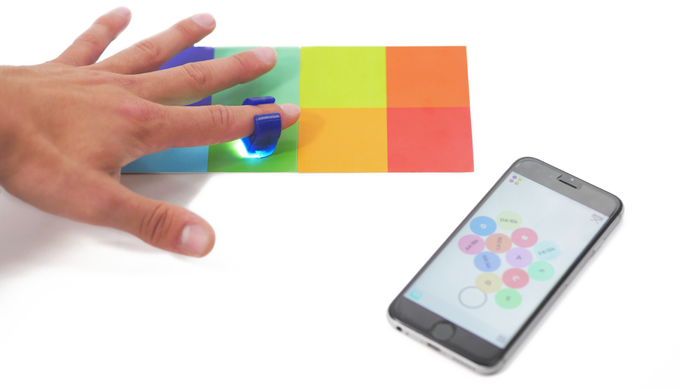 With this, you can link the rings to your mobile device to make music out of tapping colors on any surface. From the app you can quickly and easily assign specific sounds and notes to just about any color. When the Specdrums ring comes in close proximity to that color, your linked device will play the assigned sound. Your musical ingenuity and imagination is your only limit – Specdrums supports all 10 fingers at once, allowing you to fully leverage the power of your fingers to make your own tunes. The system can accurately recognize up to 36 distinct colors at any given time for you to tap, which means you can assign up to 36 different sounds for each musical sequence you’re about to make. With a broad acoustic database having sounds ranging from drums and piano chords to percussion instruments and nature sounds, Specdrums takes off the need for multiple devices or specific gear for custom sounds. From this ample set of audio patterns, you can create audio loops called “Sloops”, which you can easily export and share with other people. 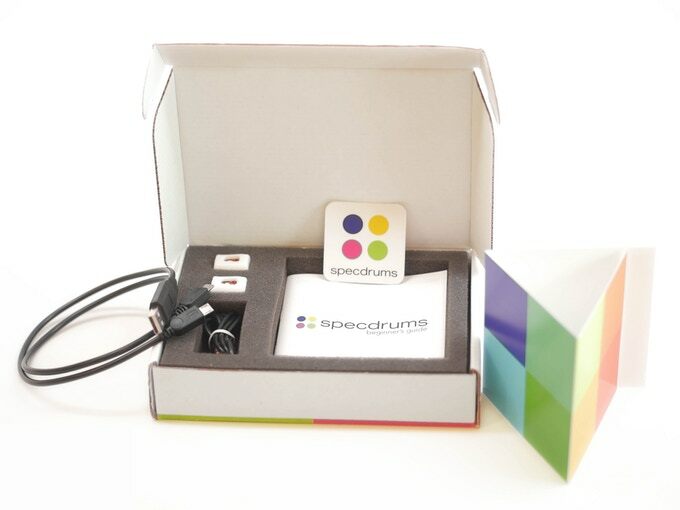 Having the ultimate goal of opening up the magical world of music creation for people of all ages, Specdrums packs the intuitive nature of using your fingers as an invaluable tool to express yourself in the art of music.